* I received a copy of this book for free in exchange for an honest review. For a short book, there was a lot of content being crammed in. I really liked the concept of the book. Because when you think about it, how would you define love? The OED defines love as 'a strong feeling of affection'. But love isn't that easy to define. Love means different things to different people, as proved by the short quotes from the girls at the beginning of each new chapter. And for that reason, the inclusion of the quotes was a really nice idea. 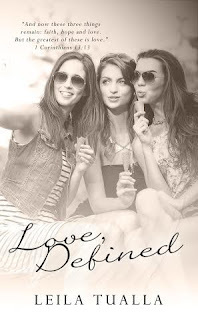 Love Defined is available to buy now. Will you be reading Love Defined? Let me know in the comments below!